You can tell that director Stephen Maing has studied his Serpico, The Conversation, and Prince of the City, those great fictional films from the ‘70s and early ‘80s that seethe with atmospheres of graft, corruption, menace, and surveillance; the sinister forces conspiring against lone heroes, the whistleblower, the watcher, the listener. I’ll remember Maing’s extremely well-made Crime + Punishment more for this authentic conjuring of those superior films than I will for the story he tells. Not so much because the story isn’t worth telling, but because he keeps telling it over and over. The movie’s main flaw is repetition, and maybe a bit too much self-indulgence in the area of transitional pauses, those moments that most documentaries fail to register, when characters (and viewers) need to catch their breath or reflect on the story’s developments. There are also the unnecessary drone flyovers of New York precincts. These shots announce the film’s big budget, but little else. Maing clearly loves these interstitial segues. But they often suggest more of an indulgence on his part than a necessary element in the narrative flow. He also enjoys filming drivers in their cars, framing close-ups of their hands and rearview mirrors and darting eyes, while they talk in voice-over or aloud to the ride-along cameraman. And he relies a lot on hidden microphone audio, which gives the film a sense of low-grade danger. But as audacious and revealing much of it is, it’s also excessive, a little too pleased with itself. I think Maing could have cut his 112 minute movie down to 90 minutes, and it would have been even more absorbing. Having said all this, Crime + Punishment is still without a doubt a potent film. It tells the story of the NYPD 12, a group of black and Latino cops rebelling against the police department’s supposedly discontinued quota system for arrests and summons, a system that targets citizens of color–often the same ones repeatedly–for either minor or non-existent crimes, forcing them to pay outsized fees to have their cases dismissed. The whistleblowers are ostracized, punished, and denied promotions; while the department and its chiefs and executives, including Mayor Bill de Blasio, publicly claim the department no longer has a quota system. Maing proves them wrong. 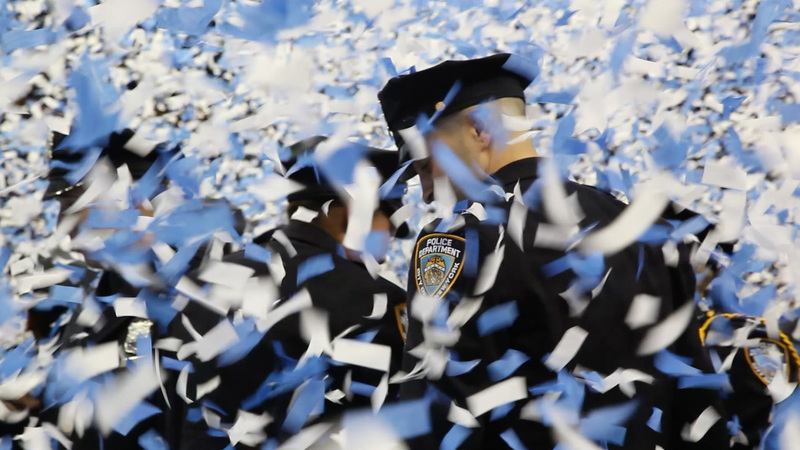 Through his hidden microphone and camera footage and his strategy of embedding with targeted cops, he reveals systemic, under-the-radar corruption. It’s powerful stuff, but it loses some of its edge when the same things keep happening again and again. The film’s best character, a crusading and road-tested private investigator, is the most galvanizing presence, and I wondered how the film would have fared had it been mostly about him. Crime + Punishment is still terrific documentary filmmaking. It’s also a solid piece of journalism that ultimately overcomes its stylistic immoderations.